Police in Dubai will soon have a new tool in their arsenal in the fight against crime – miniature, self-driving police cars that’ll act as mobile surveillance units. 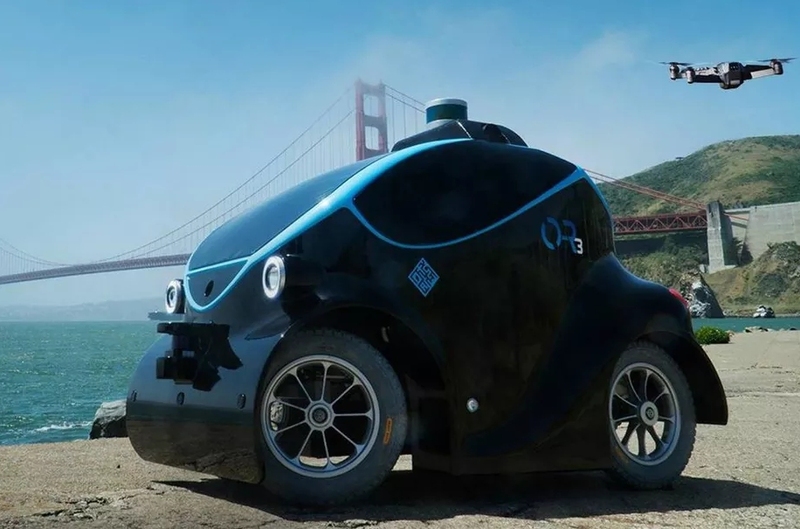 The autonomous vehicles are being built by Singapore-based OTSAW Digital. Known officially as O-R3, they will come equipped with biometric hardware like 360-degree cameras and software capable of scanning faces in crowds to seek out wanted criminals and “undesirables.” The surveillance device can also detect suspicious objects (presumably weapons like guns and knives). About the size of a child’s electric toy car, the self-driving vehicles can recharge themselves and will even be capable of launching a rear-mounted aerial drone. Both the vehicle and drone will be monitored by police at a local command center. Major General Abdullah Khalifa Al Marri, commander of the Dubai Police Force, said they seek to augment operations with the help of technology such as robots. The goal, the commander added, is for streets to be safe and peaceful even without heavy police patrol. With any luck, the units will make nefarious folks think twice about causing trouble in the first place. Dubai is leading the way in advanced robotic technology. Earlier this year, it was revealed that the city’s firefighters are using water-powered jetpacks to help douse blazes. The local government is also developing robotic law enforcement agents and plans to deploy a self-flying taxi service by the end of the year.